…when persecuted by the Jews, for curing the impotent man and ordering him to carry away his bed on the Sabbath; and for vindicating his conduct, when accused by them of having thereby profaned that day. On this occasion he professes himself not only the Lord of the Sabbath, but also Lord of life and death; declaring, in the words of the text, the resurrection of the dead to be brought to pass by his power. This he introduces with these words, as with a solemn preface, “Marvel not at this,”—at this strange discourse of mine—do not wonder to hear me, whose appearance is so very base in your eyes; for the day is coming, in which the dead shall be raised by my power. The doctrine of the resurrection asserted, “All that are in the graves shall hear his voice, and shall come forth.” The dead bodies, which are reduced to dust, shall revive, and evidence life by hearing and moving. The author of it—Jesus Christ, “the Son of man,” verse 27. The dead shall hear his voice, and be raised thereby. The number that shall be raised, “All that are in the graves,” that is, all the dead bodies of men, howsoever differently disposed of, in different kinds of graves; or all the dead, good and bad. They are not all buried in graves, properly so called—some are burnt to ashes; some drowned, and buried in the bellies of fish; yes, some devoured by man-eaters, called cannibals; but, wherever the matter or substance of which the body was composed is to be found, thence they shall come forth. The great distinction that shall be made between the godly and the wicked—they shall indeed both rise again in the resurrection. None of the godly shall be missing; though, perhaps, they either had no burial, or a very obscure one; and all the wicked shall come forth; their vaulted tombs shall hold them no longer than the voice is uttered. But the former have a joyful resurrection to life, while the latter have a dreadful resurrection to damnation. The set time of this great event—there is an hour, or certain fixed period of time, appointed of God for it. We are not told when that hour will be, but that it is coming; for this, among other reasons, that we may always be ready. Doctrine. I. Show the certainty of the resurrection. II. I shall inquire into the nature of it. III. And, Lastly, make some practical improvement of the whole. That God can raise the dead. Seeing God is almighty, surely he can raise the dead. We have instances of this powerful work of God, both in the Old and New Testament. The son of the widow in Sarepta was raised from the dead, 1 Kings 17:22; the Shunammite’s son, 2 Kings 4:35; and the man “cast into the sepulcher of Elisha,” chapter 13:21. In which we may observe a gradation, the second of these miraculous events being more illustrious than the first, and the third than the second. The first of these persons was raised when he was but newly dead; the prophet Elijah, who raised him being present at his decease. The second, when he had lain dead a considerable time; namely, while his mother traveled from Shunem, to mount Carmel, reckoned about the distance of sixteen miles, and returned from thence to her house, with Elisha, who raised him. The last, not until they were burying him, and the corpse was cast into the prophet’s grave. In like manner, in the New Testament, Jairus’s daughter, Mark 5:41, and Dorcas, Acts 9:40, were both raised to life, when lately dead; the widow’s son in Nain, when they were carrying him out to bury him, Luke 12:11-15; and Lazarus, when putrid in the grave, John 11:39, 44. What a mystery was it to the Indians, that the Europeans could, by a piece of paper, converse together at the distance of some hundreds of miles! How much were they astonished to see them, with their guns, produce as it were thunder and lightning in a moment, and at pleasure kill men afar off! Shall some men do such things as are wonders in the eyes of others because they cannot comprehend them, and shall men confine the infinite power of God within the narrow boundaries of their own shallow capacities, in a matter no ways contrary to reason! An inferior nature has but a very imperfect conception of the power of a superior. Brutes do not conceive of the actings of reason in men; and men have but imperfect notions of the power of angels— how low and inadequate a conception, then, must a finite nature have of the power of that which is infinite! Though we cannot conceive how God acts, yet we ought to believe he can do above what we can think or conceive. Therefore, let the bodies of men be laid in the grave; let them rot there, and be reduced into the most minute particles—or let them be burnt, and the ashes cast into rivers, or thrown up into the air, to be scattered by the wind—let the dust of a thousand generations be mingled, and the steams of the dead bodies wander to and fro in the air—let birds or wild beasts eat the bodies, or the fish of the sea devour them, so that the parts of human bodies, thus destroyed, pass into substantial parts of birds, beasts or fish; or, what is more that let man-eaters, who themselves must die and rise again, devour human bodies, and let others devour them again, and then let our modern Sadducees propose the questions in these cases, as the ancient Sadducees did in the case of the woman who had been married to seven husbands successively, Matt. 22:28. We answer, as our blessed Lord and Savior did, ver. 29, “You do err, not knowing the Scriptures, nor the power of God.” We believe God to be omniscient and omnipotent; infinite in knowledge and in power—and hence, agreeably to the dictates of reason, we conclude the possibility of the resurrection, even in the cases supposed. Material things may change their forms and shapes, may be reduced to the principles of which they are formed—but they are not annihilated, or reduced to nothing; nor can they be so, by any created power. God is omniscient, his understanding is infinite; therefore he knows all things; what they were at any time, what they are, and where they are to be found. Though the countryman, who comes into the apothecary’s shop, cannot find out the drug he wants; yet the apothecary himself knows what he has in his shop, whence it came, and where it is to be found. And, in a mixture of many different seeds, the expert gardener can distinguish between each of them. Why then may not Omniscience distinguish between dust and dust? Can he, who knows all things to perfection, be liable to any mistake about his own creatures? Whoever believes an infinite understanding, must needs own, that no mass of dust is so jumbled together, but God perfectly comprehends, and infallibly knows, how the most minute particle, and every one of them is to be matched. 1. Who shall be raised. 2. What shall be raised. 3. How the dead shall be raised. WHO shall be raised? Our text tells us who they are; namely “all that are in the graves,” that is, all mankind who are dead. 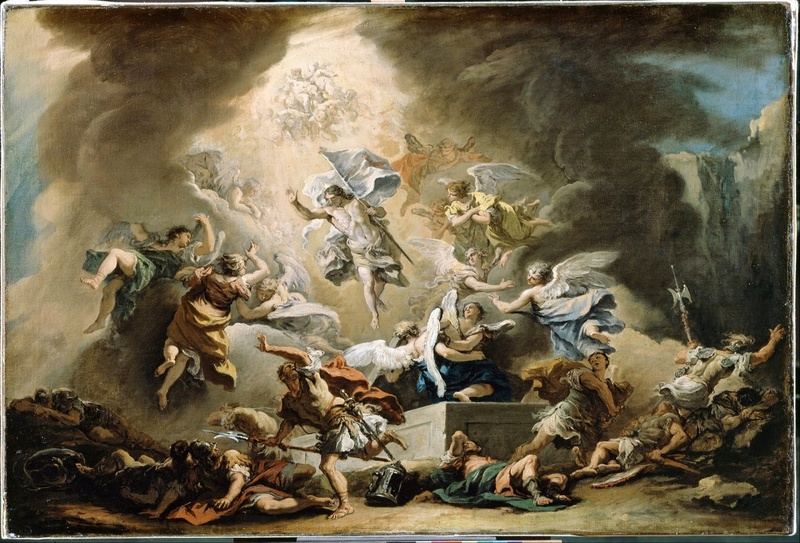 As for those people who are found alive at the second coming of Christ, they shall not die, and soon after be raised again; but such a change shall suddenly pass upon them as shall be to them instead of dying and rising again; so that their bodies shall become like lo those bodies which are raised out of their graves, 1 Cor. 15:51, 52, “We shall not all sleep, but we shall all be changed—in a moment, in the twinkling of an eye.” Hence those who are to be judged at the great day, are distinguished into living and dead, Acts 10:42. All the dead shall arise, whether godly or wicked, just or unjust, Acts 24:15, old or young; the whole race of mankind, even those who never saw the sun, but died in their mother’s womb—Rev. 20:12, “And I saw the dead, small and great, stand before God.” The sea and earth shall give up their dead without reserve, none shall be kept back. WHAT shall be raised? The bodies of mankind. 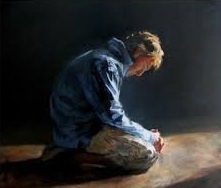 A man is said to die, when the soul is separated from the body, “and returns onto God who gave it,” Eccl. 12:7. But it is the body only which is laid in the grave, and can be properly said to be raised—therefore the resurrection, strictly speaking, applies to the body only. Moreover, it is the same body that dies, which shall rise again. At the resurrection, men shall not appear with other bodies, as to substance, than those which they now have, and which are laid down in the grave; but with the self-same bodies, endowed with other qualities. The very notion of a resurrection implies this, since nothing can be said to rise again, but that which falls. HOW shall the dead be raised? The same Jesus, who was crucified outside the gates of Jerusalem, shall, at the last day, to the conviction of all, be declared both Lord and Christ—appearing as Judge of the world, attended with his mighty angels, 2 Thess. 1:7, “He shall descend from heaven with a shout, with the voice of the archangel, and with the trumpet of God,” 1 Thess. 4:16, “The trumpet shall sound, and the dead shall be raised, and those who are alive, changed,” 1 Cor. 15:52. Whether this shout, voice, and trumpet, denote some audible voice, or only the workings of Divine power, for the raising of the dead, and other dreadful purposes of that day, though the former seems probable, I will not positively determine. There is no question but this coming of the Judge of the world will be in greater majesty and terror than we can conceive—yet that dreadful grandeur, majesty, and state, which was displayed at the giving of the law, namely, thunders heard, lightnings, and a thick cloud upon the mount seen, the Lord descending in fire, the whole mount quaking greatly, and the voice of the trumpet waxing louder and louder, Exod. 19:16-19, may help us to form a becoming thought of it. However, the sound of this trumpet shall be heard all the world over; it shall reach to the depths of the sea, and of the earth. At this loud alarm, bones shall come together, bone to his bone—the scattered dust of all the dead shall be gathered together, dust to his dust; “neither shall one thrust another, they shall walk everyone in his path;” and, meeting together again, shall make up that very same body which crumbled into dust in the grave. At the same alarming voice shall every soul come again into its own body, never more to be separated. The dead can stay no longer in their graves, but must bid an eternal farewell to their long homes—they hear His voice, and must come forth, and receive their final sentence. Now as there is a great difference between the godly and the wicked, in their life, and in their death; so will there be also in their resurrection. The godly shall be raised out of their graves, by virtue of the Spirit of Christ, the blessed bond of their union with him, Rom. 8:11, “He that raised up Christ from the dead, shall also quicken your mortal bodies, by his Spirit that dwells in you.” Jesus Christ arose from the dead, as the “first-fruits of those who slept,” 1 Cor. 15:20, So those who are Christ’s shall follow at his coming, ver. 23. The mystical head having got above the waters of death, he cannot but bring forth the members after him, in due time. They shall come forth with inexpressible joy; for then shall that passage of Scripture, which, in its immediate scope, respected the Babylonish captivity, be fully accomplished in its most extensive meaning, Isa. 26:19, “Awake and sing, you that dwell in the dust.” As a bride adorned for her husband, goes forth of her bedchamber unto the marriage—so shall the saints go forth of their graves, unto the marriage of the Lamb. Joseph had a joyful coming out from the prison, Daniel from the lion’s den, and Jonah from the whale’s belly—yet these are but faint representations of the saint’s coming forth from the grave, at the resurrection. Then shall they sing the song of Moses and of the Lamb, in highest strains; death being quite swallowed up in victory. They had, while in this life, sometimes sung, by faith the triumphant song over death and the grave, “O death, where is your sting? O grave where is your victory?” But then they sing the same, from sight and sense; the black band of doubts and fears, which frequently disturbed them, and disturbed their minds, is forever dispersed and driven away. But on the other hand, the WICKED shall be raised by the power of Christ, as a just Judge, who is to render vengeance to his enemies. The same divine power which shut up their souls in hell, and kept their bodies in the grave, as in a prison, shall bring them forth, that soul and body together may receive the dreadful sentence of eternal damnation, and be shut up together in the prison of hell. They shall come forth from their graves with unspeakable horror and consternation. They shall be dragged forth, as so many malefactors out of a dungeon, to be led to execution crying to the mountains and to the rocks to fall on them, and hide them from the face of the Lamb. Fearful was the cry in Egypt, that night on which the destroying angel went through, and slew their first-born. Dreadful were the shouts, at the earth opening her mouth, and swallowing up Dathan and Abiram, and all that appertained to them. What hideous crying then must there be, when at the sound of the last trumpet, the earth and sea shall open their mouths, and cast forth all the wicked world, delivering them up to the dreadful Judge! How will they cry, roar, and tear themselves! How will the jovial companions weep and howl, and curse one another! How will the earth be filled with their doleful shrieks and lamentations, while they are pulled out like sheep for the slaughter! They who, while they lived in this world, were profane, debauchees, covetous worldlings, or formal hypocrites, shall then, in anguish of mind, wring their hands, beat their breasts, and bitterly lament their case, roaring forth their complaints, and calling themselves beasts, fools, and madmen, for having acted so mad a part in this life, in not believing what they then heard. They were driven away in their wickedness at death—and now all their sins rise with them; and, like so many serpents, twist themselves about their wretched souls, and bodies too, which have a frightful meeting, after a long separation. But no complaints will then avail. O that men were wise, that they understood this, that they would consider their latter end! The bodies of the saints shall be raised INCORRUPTIBLE. They are now, as the bodies of others, a mass of corruption, full of the seeds of diseases and death; and, when dead, become so offensive, even to their dearest friends, that they must be buried out of their sight, and cast into the grave, where they are to rot, and be consumed—yes, loathsome sores and diseases make some of them very unsightly, even while alive. But, at the resurrection, they leave all the seeds of corruption behind them in the grave; and rise incorruptible, incapable of the least indisposition, sickness, or sore, and much more, of dying. External violences and inward causes of pain, shall forever cease—they shall feel it no more—yes, they shall have an everlasting youth and vigor, being no more subject to the decays which age produced in this life. They shall be GLORIOUS bodies; not only beautiful, lovely, and well proportioned, but full of splendor and brightness. The most beautiful face, and best proportioned body, that now appears in the world, is not to be named in comparison with the body of the lowest saint at the resurrection; for “then shall the righteous shine forth as the sun,” Matt. 13:43. If there was a dazzling glory on Moses’ face, when he came down from the mount; and if Stephen’s face was “as it had been the face of an angel,” when he stood before the council; how much more shall the faces of the saints be beautiful and glorious, full of sweet agreeable majesty, when they have put off all corruption, and shine as the sun! But observe, this beauty of the saints is not restricted to their faces, but diffuses itself through their whole bodies—for the whole body is raised in glory, and shall be fashioned like unto their Lord and Savior’s glorious body, in whose transfiguration, not only did his face shine as the sun, but his clothing also was white as the light, Matt. 17:2. Whatever defects or deformities the bodies of the saints had when laid in the grave, occasioned by accidents in life, or arising from secret causes in their formation in the womb, they shall rise out of the grave free of all these. But suppose the marks of the Lord Jesus, the scars or prints of the wounds and bruises which some of the saints received while on earth, for his sake, should remain in their bodies after the resurrection; the same as the print of the nails remained in the Lord Jesus’ body after his resurrection—these marks will rather be badges of distinction, and add to their glory, than detract from their beauty. But however that be, surely Isaac’s eyes shall not then be dim, nor will Jacob halt—Leah shall not be tender-eyed, nor Mephibosheth lame of his legs. For as the goldsmith melts down the old broken vessel, and casts it over again in a new mold, bringing it forth with a new luster; so shall the vile body, which lay dissolved in the grave, come forth at the resurrection, in perfect beauty and lovely proportion. They shall be POWERFUL and strong bodies. The strongest men on earth, being frail and mortal, may justly be reckoned weak and feeble; for their strength, however great, is quickly worn out and consumed. Many of the saints now have weaker bodies than others; but “the feeble among them,” to allude to Zechariah 12:8, at that day shall be “as David, and the house of David shall be as God.” A grave divine says, that one shall be stronger at the resurrection than a hundred, yes, than thousands are now. Certainly great, and vastly great, must the strength of glorified bodies be; for they shall bear up under an exceeding and eternal weight of glory. The mortal body is not at all adapted to such a state. Do transports of joy occasion death, as well as excessive grief, and can it bear up under a weight of glory? Can it exist in union with a soul filled with heaven’s rapture? Surely not. The mortal body would sink under that load, and such fullness of joy would make the earthen pitcher to fly all in pieces. The Scripture has plainly told us, “That flesh and blood,” namely, in their present frail state, though it were the flesh and blood of a giant, “cannot inherit the kingdom of God,” 1 Cor. 15:50. How strong must the bodily eyes be, which, to the soul’s eternal comfort, shall behold the dazzling glory and splendor of the New Jerusalem; and steadfastly look at the transcendent glory and brightness of the man Christ, the Lamb, who is the light of that city, the inhabitants whereof shall shine as the sun! The Lord of heaven does now in mercy “hold back the face of his throne, and spreads his clouds upon it;” that mortals may not be confounded with the rays of glory which shine forth from it, Job 26:9. But then the veil shall be removed, and they made able to behold it, to their unspeakable joy. How strong must their bodies be, who shall not rest night nor day, but be, without intermission, forever employed in the heavenly temple, to sing and proclaim the praises of God without weariness, which is a weakness incident to the frail mortal, but not to the glorified body! They shall be SPIRITUAL bodies. Not that they shall be changed into spirits, but they shall be spiritual as to their spirit-like qualities and endowments. The body shall be absolutely subservient to the soul, subject to it, and influenced by it, and therefore no more a clog to its activity, nor the animal appetites a snare to it. There will be no need to beat it down, nor to drag it to the service of God. The soul, in this life is so much influenced by the body, that, in Scripture style, it is said to be carnal; but then the body shall be spiritual, readily serving the soul in the business of heaven, and in that only, as if it had no more relation to earth than a spirit. It will have no further need of the now necessary supports of life, namely, food, and clothing, and the like. “They shall hunger no more, neither thirst anymore,” Rev. 7:16. “For in the resurrection, they neither marry, nor are given in marriage, but are as the angels of God in heaven.” Then shall the saints be strong without food or drink, warm without clothes, ever in perfect health without medicine, and ever fresh and vigorous, though they shall never sleep, but serve him night and day in his temple, Rev. 7:15. They will need none of these things, any more than spirits do. They will be nimble and active as spirits, and of a most refined constitution. The body, that is now lumpish and heavy, shall then be most sprightly. No such thing as melancholy shall be found to make the heart heavy, and the spirits flag and sink. I shall not further dip into this matter— the day will declare it. As to the qualities of the bodies of the WICKED at the resurrection, I find the Scripture speaks but little of them. Whatever they may need, they shall not get a drop of water to cool their tongues, Luke 16:24, 25. Whatever may be said of their weakness, it is certain they will be continued forever in life, that they may be ever dying; they shall bear up, however unwillingly under the load of God’s wrath, and shall not faint away under it. “The smoke of their torment ascends up forever and ever. And they have no rest day nor night.” Surely they shall not partake of the glory and beauty of the saints. All their glory dies with them, and shall never rise again. Daniel tells us, they shall awake to shame and everlasting contempt, chap. 12:2. Shame follows sin, as the shadow follows the body. But the wicked in this world walk in the dark, and often under a disguise— nevertheless, when the Judge comes in flaming fire at the last day, they will be brought to the light; their mask will be taken off, and the shame of their nakedness will clearly appear to themselves and others, and fill their faces with confusion. Their shame will be too deep for blushes—all faces shall gather blackness at that day, when they shall go forth from their graves, as malefactors out of their prisons to execution—for their resurrection is the resurrection of damnation. The greatest beauties, who now pride themselves in their loveliness of body, not regarding their deformed souls, will then appear with a ghastly countenance, a grim and death-like visage. Their looks will be frightful, and they will be horrible spectacles, coming forth from their graves, like infernal furies out of the pit. They shall rise also to everlasting contempt. They shall then be the most contemptible creatures, filled with contempt from God, as vessels of dishonor, whatever honorable employments they had in this world; and filled also with contempt from men. They will be most despicable in the eyes of the saints; even of those saints who gave them honor here, either for their high station, the gifts of God in them, or because they were of the same human nature with themselves. But then their bodies shall be as so many loathsome carcasses, which they shall go forth and look upon with abhorrence; yes, “They shall be an abhorring unto all flesh,” Isaiah 66:24. The word here rendered “an abhorring,” is the same which in the other text is rendered “contempt,” and Isaiah and Daniel point at one and the same thing, namely, the loathsomeness of the wicked at the resurrection. They will be loathsome in the eyes of one another. The unclean wretches were never so lovely to each other, and then they will be loathsome; dear companions in sin will then abhor each other; and the great and honorable men who were wicked, shall be no more regarded by their wicked subjects, their servants, their slaves, than the mire in the streets. Use I. Of COMFORT to the people of God. The doctrine of the resurrection is a spring of consolation and joy unto you. Think on it, O believers, when you are in the house of mourning, for the loss of your godly relations or friends, “That you sorrow not, even as others which have no hope;” for you will meet again, 1 Thess. 4:13, 14. They are but laid down to rest in their beds for a little while, Isa. 57:2; but in the morning of the resurrection they will awake again, and come forth out of their graves. The vessel of honor was but coarse, it had much alloy of base metal in it; it was too weak, too dim and inglorious, for the upper house, whatever luster it had in the lower one. It was cracked, it was polluted; and therefore it must be melted down, to be refined and fashioned more gloriously. Do but wait a while, and you shall see it come forth out of the furnace of earth, vying with the stars in brightness; no, as the sun when he goes forth in his might. Have you laid your infant children in the grave? You will see them again. Your God calls himself “the God of your seed;” which, according to our Savior’s exposition, secures the glorious resurrection of the body. Therefore, let the covenant you embraced for yourselves and your babes now in the dust, comfort your heart, in the joyful expectation, that by virtue thereof, they shall be raised up in glory—and that as being no more infants of days, but brought to a full and perfect stature, as generally supposed. Have you an unlovely or deformed body? There is a glory within, which will then set all right without, according to all the desire of your heart. It shall rise a glorious, beautiful, handsome, and well-proportioned body. Its unloveliness or deformities may go with it to the grave, but they shall not come back with it. O that those, who are now so desirous to be beautiful and handsome, would not be too hasty to effect it with their foolish and sinful arts, but wait and study the heavenly art of beautifying the body, by endeavoring now to become all glorious within, with the graces of God’s Spirit! This would at length make them admirable and everlasting beauties. You must indeed, O believer, grapple with death, and shall get the first fall—but you shall rise again, and come off victorious at last. You must go down to the grave; but, though it be your long home, it will not be your everlasting home. You will not hear the voice of your friends there; but you shall hear the voice of Christ there. You may be carried there with mourning, but you shall come up from it rejoicing. Your friends, indeed, will leave you there, but your God will not. What God said to Jacob, concerning his going down to Egypt, Gen. 46:3, 4, he says to you, on your going down to the grave, “Fear not to go down—I will go down with you—and I will also surely bring you up again.” O solid comfort! O glorious hopes! “Therefore comfort” yourselves, and “one another with these words,” 1 Thess. 4:18. Use 2. Of TERROR to all unregenerate men. You who are yet in your natural state, look at this view of the eternal state; and consider what will be your part in it, if you be not in time brought into a state of grace. Think, O sinner, on that day when the trumpet shall sound, at the voice of which the bars of the pit shall be broken asunder, the doors of the grave shall fly open, the devouring depths of the sea shall throw up their dead, the earth cast forth hers; and death everywhere, in the excess of astonishment, shall let go its prisoners; and your wretched soul and body shall be re-united, to be summoned before the tribunal of God. Then, if you had a thousand worlds at your disposal, you would gladly give them all away, on condition that you might lie still in your grave, with the hundredth part of that ease, with which you have sometimes lain at home on the Lord’s day; or, if that cannot be obtained, that you might be but a spectator of the transactions of that day; as you have been at some solemn occasions, and rich gospel feasts; or, if even that is not to be purchased, that a mountain or a rock might fall on you, and cover you from the face of the Lamb. Ah! How are men infatuated, thus to trifle away their precious time of life, in almost as little concern about death, as if they were like the beasts that perish! Some will be telling where their corpse must be laid; while yet they have not seriously considered, whether their graves shall be their beds, where they shall awake with joy, in the morning of the resurrection; or their prisons, out of which they shall be brought to receive the fearful sentence. Remember, now is your seed-time; and as yon sow, so shall you reap. God’s seed-time begins at death; and at the resurrection, the bodies of the wicked, that were sown “full of sins, that lie down with them in the dust,” Job 20:11, shall spring up again—sinful, wretched, and vile. Your bodies, which are now instruments of sin, the Lord will lay aside for fire, at death, and bring them forth for the fire, at the resurrection. That body, which is now employed in God’s service, but is abused by uncleanness and lasciviousness, will then be brought forth in all its vileness, thenceforth to lodge with unclean spirits. The body of the drunkard shall then stagger, by reason of the wine of the wrath of God poured out to him, and poured into him, without mixture. Those who now please themselves in their reveling, will reel to and fro and another rate, when, instead of their songs and music, they shall hear the sound of the last trumpet. Many weary their bodies for worldly gain, who will be loath to distress them for the benefit of their souls; by labor, unreasonably hard, they will quite unfit themselves for the service of God; and, when they have done, will reckon it a very good reason for shifting duty, that they are already tired out with other business; but that day comes, when they will be made to abide a yet greater distress. Many will go several miles for food and clothing, who will not go half the way for the good of their immortal souls; many will be sickly and unable on the Lord’s Day, who will be tolerably well all the rest of the week. But when that trumpet sounds, the dead shall find their feet, and none shall be missing in that congregation. When the bodies of the saints shine as the sun; frightful will the looks of their persecutors be. Fearful will their condition be, who shut up the saints in nasty prisons, stigmatized, burnt them to ashes, hanged them, and stuck up their heads and hands in public places, to frighten others from the way of righteousness, which they suffered for. Many faces, now fair, will then gather blackness. They shall be no more admired and caressed for that beauty, which has a worm at the root, that will cause it to issue in loathsomeness and deformity. Ah! What is that beauty, under which there lurks a monstrous, deformed, and graceless heart? What, but a sorry paint, a slight varnish; which will leave the body so much the more ugly, before that flaming fire, in which the Judge shall be “revealed from heaven, taking vengeance on them that know not God, and that obey not the gospel?” 2 Thess. 1:7, 8. They shall be stripped of all their ornaments, and not have a rag to cover their nakedness—their carcasses shall be an abhorrence to all flesh, and serve as a foil to set off the beauty and glory of the righteous, and make it appear the brighter. Now is the time to secure, for yourselves, a part in the resurrection of the just—which if you would do, unite with Jesus Christ by faith, rising spiritually from sin, and glorifying God with your bodies. He is the “resurrection and the life,” John 11:25. If your bodies be members of Christ, temples of the Holy Spirit, they shall certainly arise in glory. Get into this ark now, and you shall come forth with joy into the new world. Rise from your sins; cast away these grave-clothes, putting off your former lusts. How can anyone imagine, that those who continue dead while they live, shall come forth, at the last day, unto the resurrection of life? But that will be the privilege of all those who, having first consecrated their souls and bodies to the Lord by faith, do glorify him with their bodies, as well as their souls; living and acting to him, and for him, yes, and suffering for him too, when he calls them to it.